The day of rain forever! Reigate should prepare for 24 hours of rain, starting Saturday 6am and continuing pretty much non-stop until Sunday morning. Rainfall totals for Reigate could be over 20mm which will add to the 18mm we got on our wet Wednesday this week. Totals before Christmas set to hit the 60 or 70mm mark which, as predicted, approach the total rainfall received in Reigate during the whole of November! 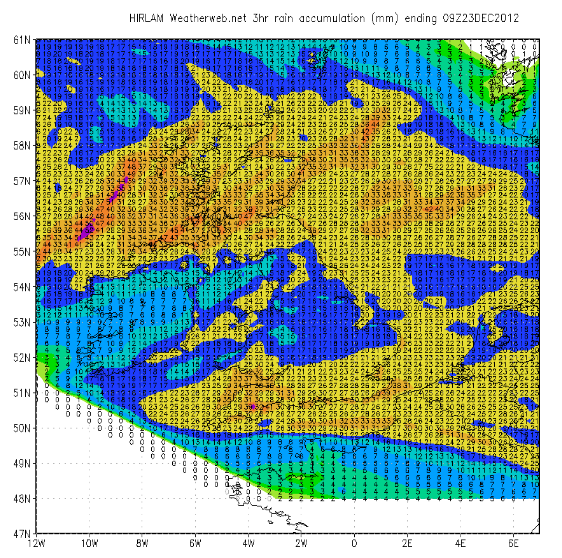 Interestingly, during the heaviest rain tomorrow the cloud above Reigate will extend over 9000 metres in height! This is as thick as Mountain Everest is high (8848m). In addition, temperatures will go from 12C at ground level (warm for December) to -50C at 9,000 metres. Winds in Reigate will be around 20mph while at 9,000 metres they will be blowing at around 120mph.